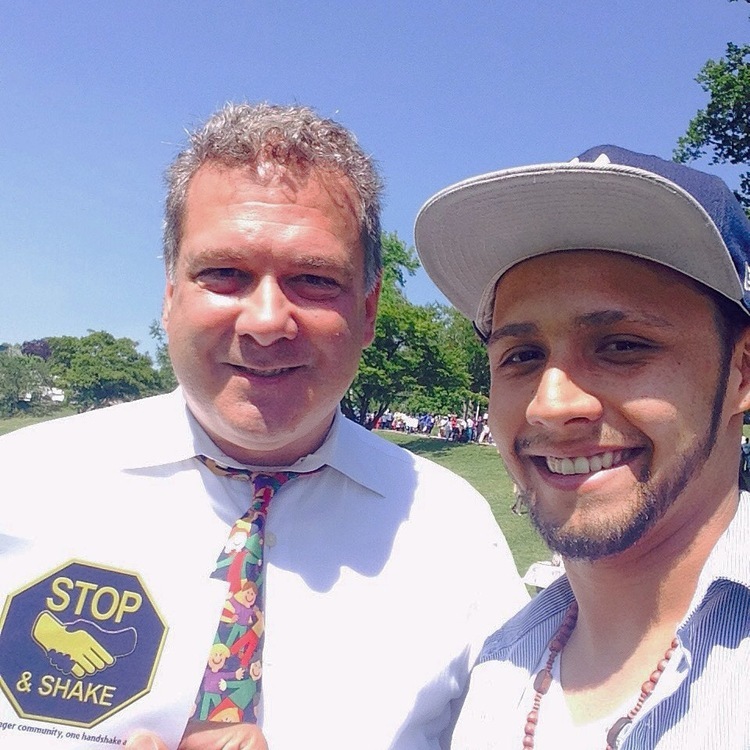 THE STOP & SHAKE IS A SOCIAL ICEBREAKER BORN IN YONKERS, NY AND GROWING NATIONALLY. 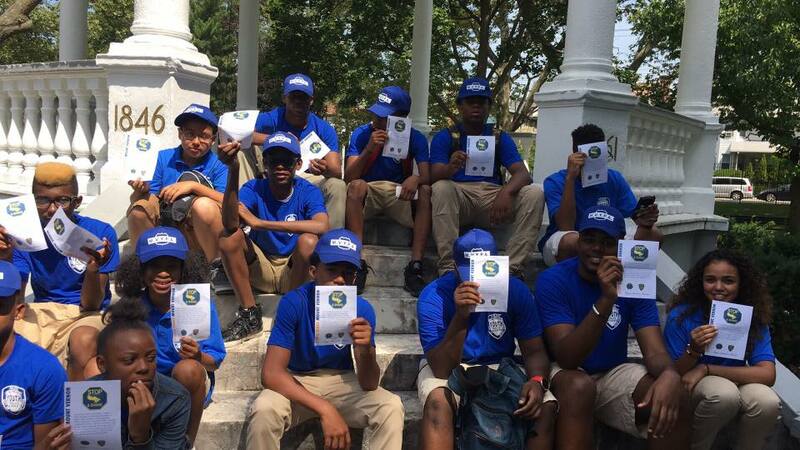 IT'S GOAL IS TO END MISUNDERSTANDINGS BETWEEN CITIZENS AND POLICE, AS WELL AS EACH OTHER. 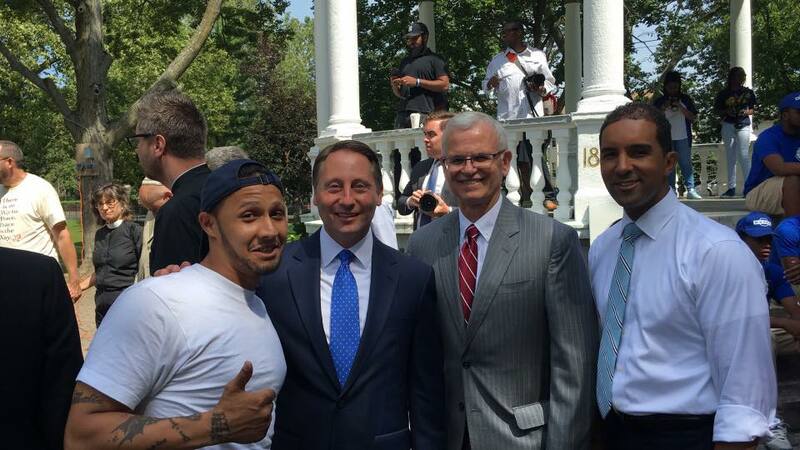 THE "STOP & SHAKE" INITIATIVE TAKES US AWAY FROM "US AND THEM" MENTALITY AND BRINGS IT MORE TO "ME AND YOU." THE GOAL OF STOP & SHAKE IS TO CHANGE THE MINDSET OF AND UNIFY KEY MEMBERS IN THE COMMUNITY, CITIZENS AND THOSE WE TRUST TO SERVE US. 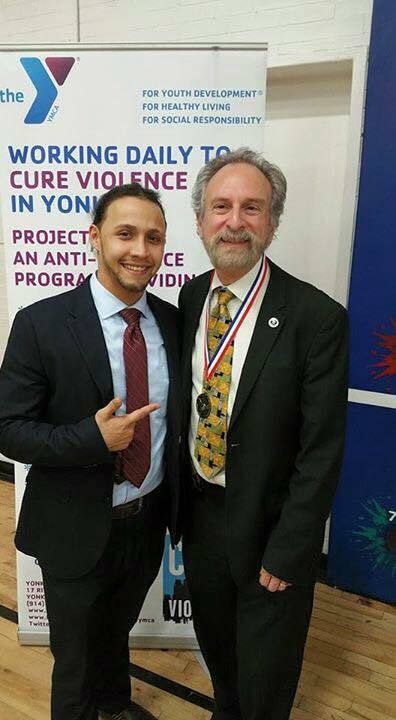 Yonkers native Hector Santiago, a 28-year-old proud father, community activist, motivational speaker, and reformed gang member is the man behind The Stop & Shake, an initiative that goes far beyond its initial goal to improve relations between residents and their local police department. Though we may have preconceived notions about someone based on their appearance, that can fall away when you’re shaking someone’s hand and the person on the receiving end becomes just a fellow human. Stop and Shake isn’t just a handshake, it’s a mindset. 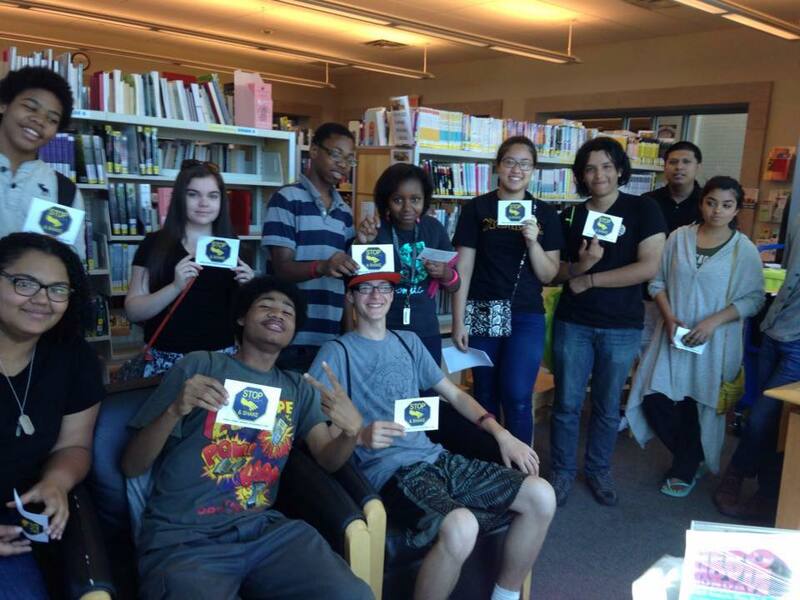 A way of life that brings neighborhoods together across class, race, gender, socioeconomic status and circumstance. 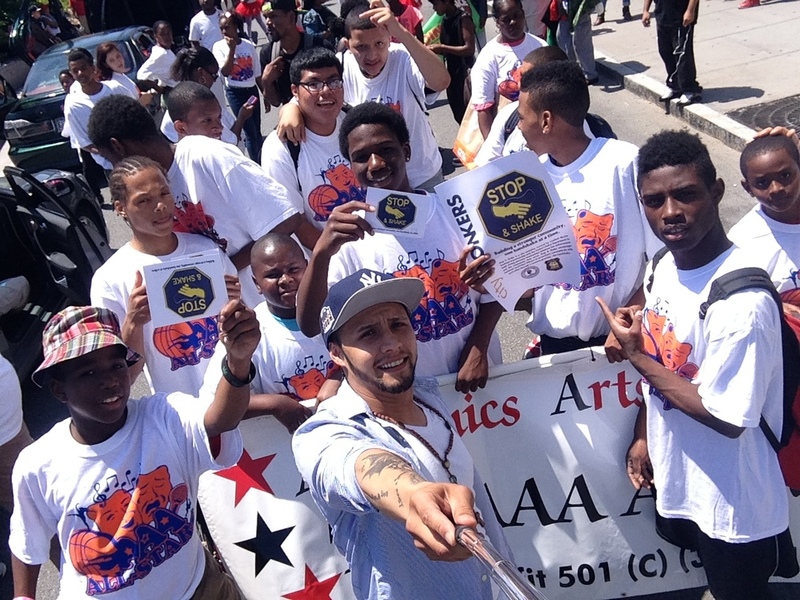 The Stop & Shake was created in 2014 as a way to create real peaceful change after the the deaths of Mike Brown and Eric Garner. 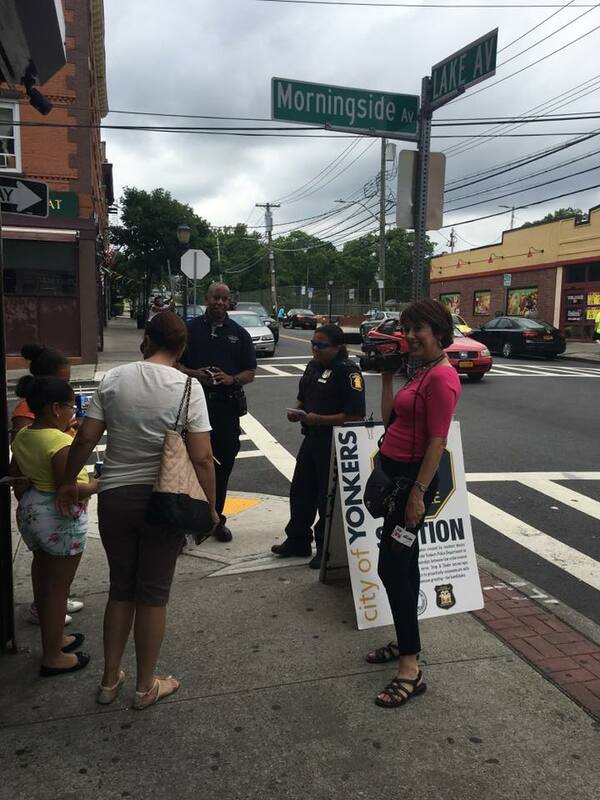 Police departments in Westchester County, NY, like Yonkers and Mount Vernon, have adopted the Stop & Shake program and cities across the country are looking to adopt the Stop & Shake too. 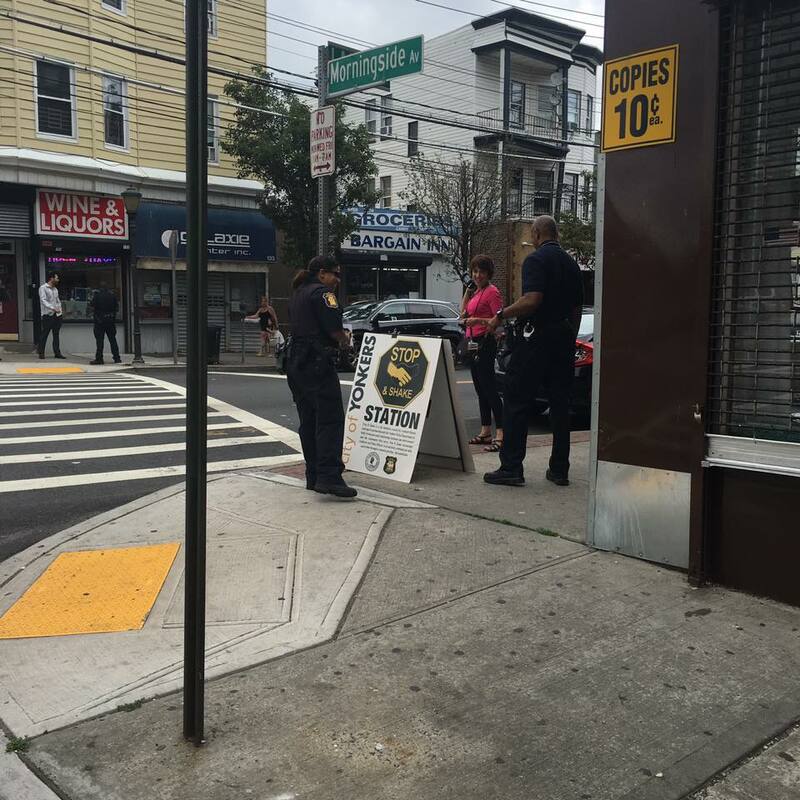 The Stop & Shake hosts community gatherings where police officers, local business owners and members of the community gather in their neighborhoods to shake hands and get to know one another. 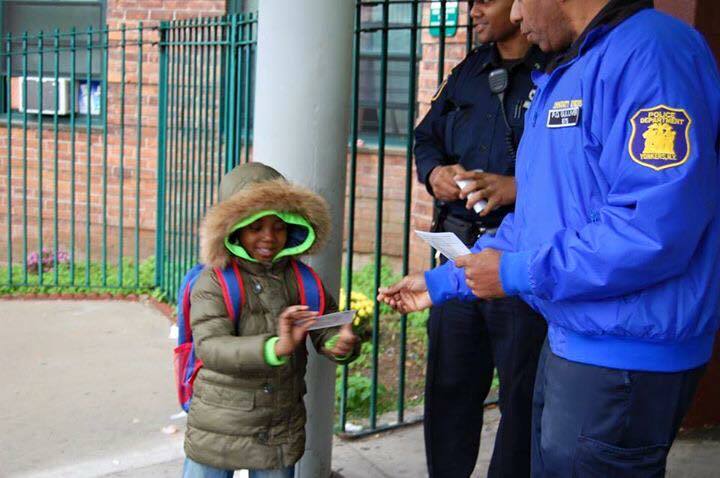 Stop & Shake trains officers and citizens to build long lasting relationships in their communities to breakdown stereotypes that cause implicit bias. The Stop & Shake also runs workshops on interpersonal communication, conflict resolution, anti-bullying, leadership, and community organizing.